If life was fair, we could all be our ideal body shape/type/weight and look as young/old/smart as we wanted while eating/drinking/doing whatever we felt like. Life, however, is not fair, and as such, it’s unlikely that drinking booze infused with collagen will give you both the buzz of alcohol and the fresh-faced appearance of youth in one bottle. You just can’t have it both ways. 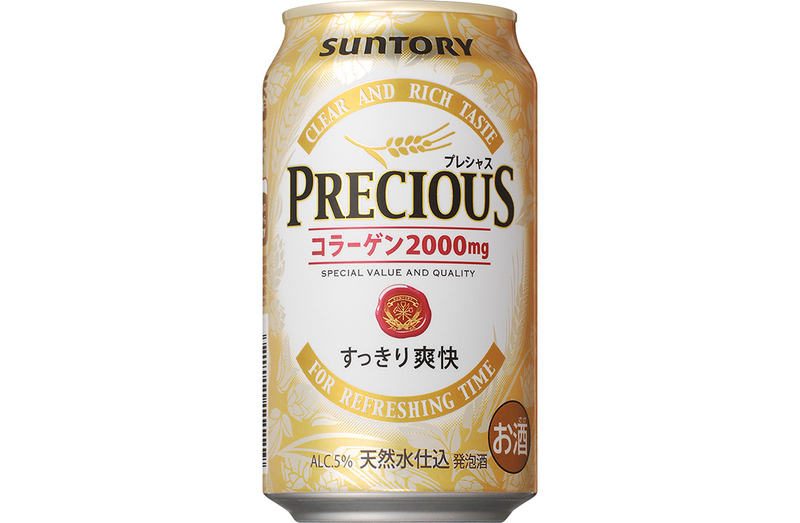 Not too long ago, the parent company of Jim Beam, Suntory Holdings Limited, introduced a beer aimed at women in Japan that includes two grams of collagen per can, Fortune pointed out last week. The fountain of youth, made from beer? Probably not, a collagen expert told Fortune, as alcohol isn’t great for the body or your skin (think of how puffy and tired you look the next day after one too many). And at only two grams of collagen in each can, “there isn’t enough collagen to make a remarkable difference for your skin’s complexion,” Dr. Ariel Ostad of New York University Medical Center told Fortune. That, and ingesting collagen isn’t the most effective way of turning back time, Dr. Ostad says, because our bodies break it down in the digestive process like any other protein. You want it, you got it — but don’t expect it to actually do anything.